Acquisition Corps FA 51 officers are centrally managed by the Acquisition Management Branch within the Force Sustainment Division, Officer Personnel Management Directorate, Human Resources Command (HRC). 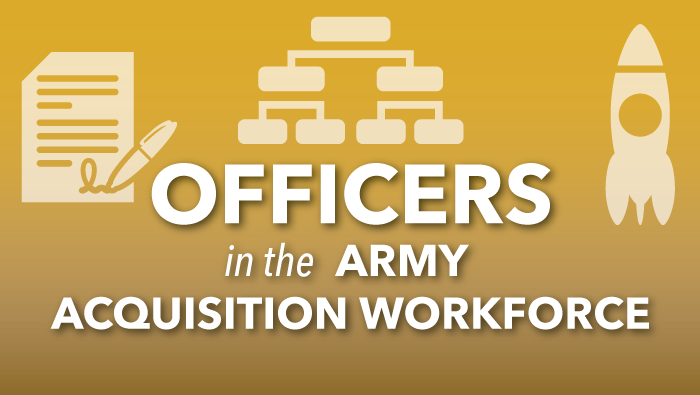 The Acquisition Management Branch provides U.S. Army Reserve career and assignments management. Army Reserve FA 51 officers are centrally managed by the Acquisition Management Branch at HRC, regardless of basic branch affiliation. Army National Guard Career and Assignments Management. Army National Guard Title 10 FA 51 officers are managed by the Army National Guard Human Capital Management Office and the Army National Guard Acquisition Career Management Office. Title 32 officers are managed by state adjutants general. Officer development model. 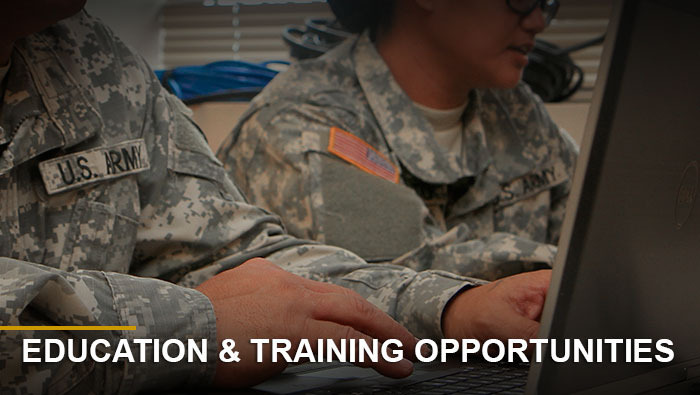 The foundation of FA 51 officer professional development is the experience, education and training required to obtain Defense Acquisition Workforce Initiative Act (DAWIA) certification for the assigned certified acquisition position. 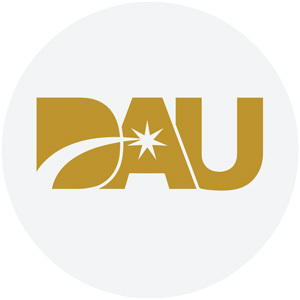 All acquisition officers can expect to have ample opportunities to serve in diverse assignments and receive the training required to attain DAWIA certification. Professional military schooling, acquisition-unique training and experience as well as a strong performance over time help officers to be competitive for subsequent positions with increasing responsibilities and challenges. Policy And law on Acquisition Career Field Certification. 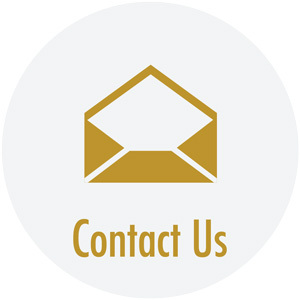 Officers are required to obtain a professional certification in accordance with the DAWIA, Public Law 101–510, 10 USC Chapter 87 and other DOD directives and instructions. Certification levels are assigned to each acquisition position: Level I, captain; Level II, major; Level III, lieutenant colonel or colonel. The different levels of certification build upon acquisition skills and competencies gained at each level, including education, training and experience against established criteria. Certification levels are reflected on the officer’s official DA Form 4037. 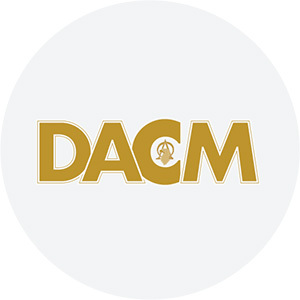 Information on current certification requirements can be found in the DAU catalog at http:// icatalog.dau.mil. The Officer Records Brief (ORB) is an automated, authenticated record of your education, training, and acquisition assignment history. Many of the fields in the ORB are populated automatically when you are assigned to your acquisition position. It is your official acquisition record and it is your responsibility to update and maintain it accurately. The ORB can be accessed from CAPPMIS. Select CAPPMIS on the navigation bar, and then select the ORB tab. 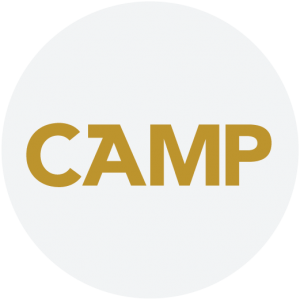 CAPPMIS is an integrated set of tools to help serve and manage your acquisition career. It provides access to theERB or ORB, Individual Development Plan (IDP) and the ATRRS Internet Training Application System (AITAS). All three are important to you as an acquisition workforce member. At the time of accession, commissioned officers are designated as FA 51 officers and become acquisition workforce candidates. Only officers at the grade of major or above who meet all of the following requirements may be considered for Acquisition Corps membership: 24 semesters of business credit; at least 4 years of experience in an acquisition position in DOD; and DAWIA Level II certification in at least one area of concentration. The Army Acquisition Executive designates critical acquisition positions based on the criticality of the position to the acquisition program, effort or function supported. All military acquisition positions in the grade of lieutenant colonel and higher are designated as critical acquisition positions, and officers assigned to such positions must be Army Acquisition Corps members upon entering the position. With the exception of key leadership positions, officers must be Level III certified in the acquisition career field designated for the position within 24 months of assignment or possess an approved waiver. 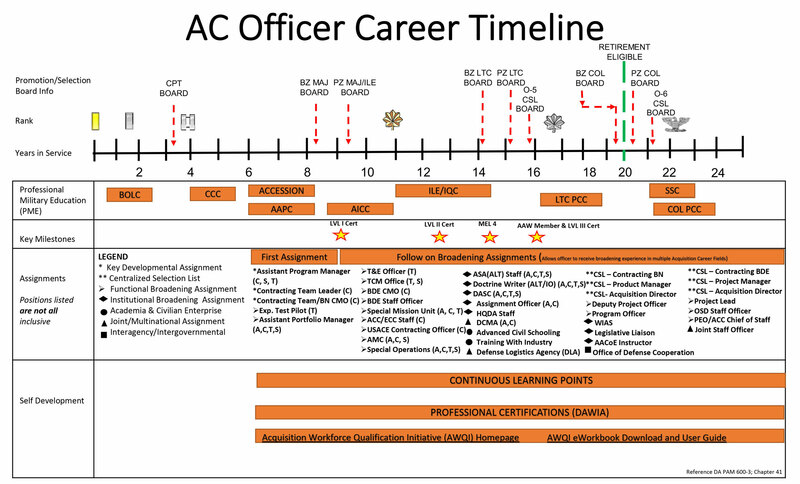 In addition, CAPs are assigned the position code of “Z,” which indicates that the position can be filled by acquisition officers with either a predominantly program management (Area of Concentration A) or contracting (Area of Concentration C) background at the grade of lieutenant colonel and above. The statutory tenure for all critical acquisition positions is three years; however, project managers of Acquisition Category I programs will have a four-year tenure. A Headquarters, Department of the Army board centrally selects a limited number of high-performing officers and civilians for CSL key billets. The CSL process identifies the most critical organizations that require centrally selected leaders to meet their leadership and management needs. This process selects the best-qualified officers, with the right skills and experiences, to lead Army professionals, prepare for the full spectrum of military operations and manage the Army’s resources. The Army’s Centralized Command/Key Billet Selection System designates all the Army’s CSL positions into one of two categories: CSL Command or CSL Key Billet. All Army Acquisition Corps CSL positions are designated as Key Billets and include project manager, product manager, contracting brigade commander, contracting battalion commander and acquisition director (both at the colonel and lieutenant colonel level). Academia And Civilian Enterprise: An assignment with industry or within a community of students, scholars and instructors at institutes of higher learning where an officer can gain new perspectives as well as knowledge, skills and abilities not generally obtained from organic experiences, training or education. Examples include Advanced Civil Schooling (ACS) and Training with Industry (TWI). All FA 51 officers may apply for the opportunity to participate in the ACS or TWI programs. Selection is contingent upon the needs of the Army, the officers’ promotion potential, their potential for academic success, and their career timeline. An assignment or experience at U.S government agencies outside DOD, or with partner nation governmental agencies. Examples are assignments at the Office of Defense Cooperation, NATO and the Office of the Program Manager, Saudi Arabian National Guard. The Joint Qualification System acknowledges designated joint billets as well as experience-based joint duty assignments in contributing to the development of joint qualified officers. These assignments, along with the necessary Joint Professional Military Education, culminate with an officer being identified as a fully Joint Qualified Officer and the receipt of the 3L Skill Identifier. Additional information can be found in DODI 1300.19 or by asking your assignments officer. Mentorship is a powerful tool that can help build competence, leadership skills, self-awareness and morale. FA 51 officers are strongly encouraged to pursue mentorship opportunities at all levels. Senior acquisition officers should actively serve as mentors to junior acquisition officers, to offer their perspective on what it takes to succeed in the Army Acquisition Corps and pass on their knowledge and experience. It is be critical for key leaders to support mentoring efforts publicly. Military leaders must take care to avoid micromanaging mentors and requiring participation in formal mentoring programs. When developing formal mentoring programs, planners should consider vetting mentors and deliberately select those with demonstrated efficacy in other interpersonal relationships. Some of these key interpersonal skills are communication ability, empathy, listening and emotional intelligence. These skills will help to ensure greater success in the mentor role. Supervising and mentoring junior leaders is an integral component of an effective professional development program, while on-the-job experience will fulfill some of the requisites for acquiring tactical and technical proficiency. Leaders must establish a sound process for subordinate development that furnishes the guidelines and establishes the parameters for arming and infusing our subordinates with honed leadership capabilities. Using this knowledge, junior officers as mentees can advance their confidence, skills and capabilities, and grow as leaders. (1) Officers will have a master’s degree before entering the Acquisition Corps or will attend one of two schools offering both and an advanced degree and acquisition-specific training. 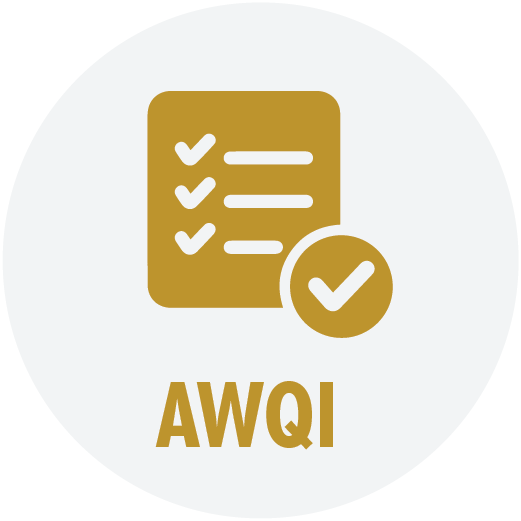 (2) All acquisition officers en route to their first acquisition assignment will meet the training requirements needed for Level III certification in program management and Level III certification in contracting. This curriculum is offered at two institutions: The Army Acquisition Professional Course is a 12-week course at the Army Acquisition Center of Excellence in Huntsville, Alabama; The Naval Postgraduate School’s Advanced Education Program 522 in Monterey, California. Officers must apply for these programs and should read the current military personnel message for guidance. (2) Upon completion of training and an advanced degree, newly trained captains and majors will be assigned to a position designed to develop their functional understanding in either program management or contracting. 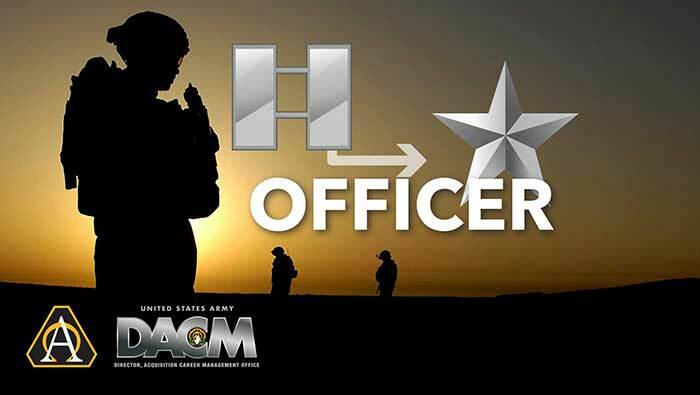 FA 51 officers with a primary AOC of program management can expect their first assignment to be an assistant program manager (APM) within an Army program executive office. Experimental test pilots will complete their APM assignment after their first assignment. Army National Guard officers with a primary AOC of program management can expect their first assignment to be an assistant portfolio manager or an assistant program manager. Here, officers must be groomed to receive a range experience to cover vital aspects of program management. FA 51 officers with a primary AOC of contracting can expect their first assignment to be as a contract management officer or team leader within a contracting team for at least 24 months. This will serve as their key developmental assignment. Upon completion of the team assignment, FA 51 officers with a primary AOC of contracting will either be assigned to a broadening assignment or a second contracting team position based on the needs of the Army. (3) To be competitive for promotion to lieutenant colonel, officers should achieve Military Education Level 4, which for most officers includes satellite Intermediate Level Education and the acquisition Intermediate Qualification Course at the Army Acquisition Center of Excellence. More information can be found at: http://asc.army.mil. An additional Army Acquisition Corps goal is for FA 51 officers to obtain a master’s degree in an acquisition-related discipline. 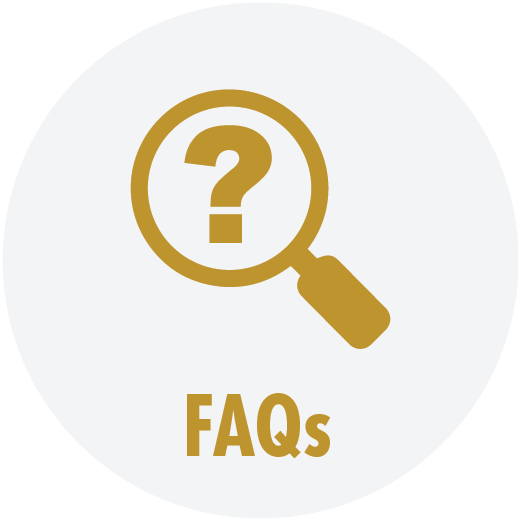 Officers must complete or have completed the minimum number of business hours required for Acquisition Corps membership and any specific requirement for specific certification prior to selection to lieutenant colonel. (4) Careful planning and attention to an individual’s qualifications and expertise are essential in facilitating an officer’s growth to a high level of technical proficiency. Officers in the program management AOC should pay close attention to gaining the necessary experience in not only program management skills, but also science and technology, test and evaluation and contracting. A key developmental assignment with multiple broadening opportunities in a single area of concentration best achieves this goal and facilitates Level III certification before promotion to lieutenant colonel. In some cases, based on officer’s interests and the needs of the Army, an officer may have the opportunity to seek broadening assignments and training in the area of concentration that is not their primary focus upon achieving at least Level II certification in their primary field. The career development goal for a lieutenant colonel is to leverage acquired acquisition skills in CSL and other critical acquisition positions. Selection to a CSL position represents the pinnacle of service at the lieutenant colonel level, and successful performance in a CSL position serves as an indicator of potential for promotion to colonel and selection to attend SSC. Officers who do not serve in a CSL position will continue to serve an essential role in the success of the Acquisition Corps by providing leadership in critical acquisition position billets. All lieutenant colonels should progressively seek challenging CSL and non-CSL positions, including product manager, contracting battalion commander, acquisition director, product director, Joint and HQDA staff positions, and other key positions. FA 51 officers compete for Senior Service College (SSC) (Military Education Level 1) along with other branches and functional areas. SSC is the highest military educational program available to prepare officers for the positions of greatest responsibility in the DOD. The career development goal for a colonel is to serve in a FA 51 CSL Key Billet as project manager, contracting support brigade commander or acquisition director with the objective of developing the knowledge, skills and abilities to influence acquisition outcomes at the strategic level. Colonels successfully completing a CSL assignment are assigned to senior leadership positions with significant and strategic importance to the future of the Army and DOD.